Sardaar Gabbar Singh Collections: Powerstar Pawan Kalyan is one of the top actors in Tollywood and is the highest paid actors now. He scored massive hits like Gabbar Singh and Atharintiki Daaredi, which smashed all the existing records among his movies. Atharintiki Daaredi is now the third highest Telugu grosser all over, and Pawan has been out of movies for the past two years. He has done a significant role in Venkatesh’s Gopala, which was the remake of Oh My God. The movie ended as a decent grosser which released for Sankranthi 2015. Pawan has been busy scripting for his upcoming movie Sardaar Gabbar Singh, and he has taken two complete years for the film. The movie is not a sequel for Gabbar Singh, and Pawan has made the character of Gabbar Singh as the base for penning the script. Pawan wrote the story and screenplay of Sardaar Gabbar Singh, and the movie happens entirely in Rathanpur, which is the border between three states. KS Ravindra, who made an impressive debut with Ravi Teja’s Power, has given the responsibility to direct the film. 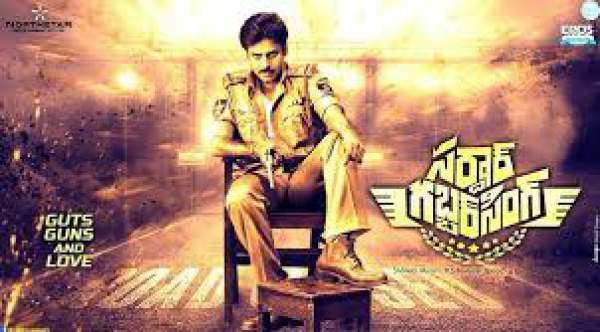 Sardar Gabar Singh has been made on a budget of Rs 60 crores and Pawan essayed the role of a powerful cop in the movie. Kajal Agarwal played the female lead in the film and Devi Sri Prasad composed the music. Sharat Marar produced Sardaar Gabbar Singh on North Star Entertainments banner, and Pawan Kalyan Creative Works presented the video. Eros International has bought Sardaar Gabbar Singh for a whopping price of Rs 72 crores, and Sardaar Gabbar Singh is the first movie that has been released in Hindi of Pawan Kalyan. Sardaar Gabbar Singh released in over 4000 screens across the world on April 8th in Telugu, Tamil and Hindi languages. Sardaar Gabbar Singh got the second highest opener after Baahubali: The Beginning in Tollywood by collecting Rs 31 crores across the world. With huge negative talk all over the collections dipped badly right from the second day all over. The movie is one of the biggest debacles in Tollywood and the movie collected Rs 72.48 crores across the country in 10 days.